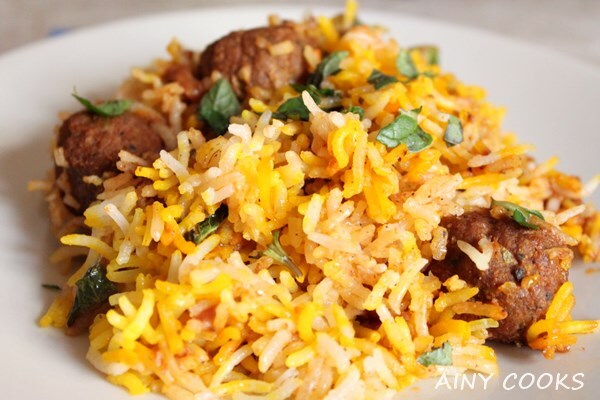 This recipe is for all Biryani lovers, very delicious and tasty. Most of people like chicken kofta so replace beef koftas with chicken. Add all ingredients of koftas in chopper and chop them fine. Make small balls and set aside. In a pot add oil and onion, fry onion till light brown then add ginger garlic paste and stir. Add whole spices and stir again. Now add chopped tomatoes, plums and spices. Stir till oil separates. Add koftas and 1/2 cup water. Cook on low flame till koftas cooked. Add green chilies and coriander leaves. Set aside. Boil rice and after draining start layering them. Pour oil in the bottom of pot then spread first layer of rice. Spread koftas gravy then again rice layer. 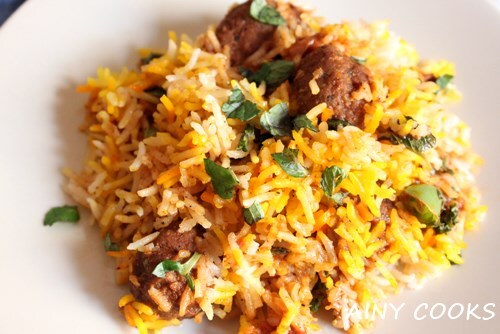 Sprinkle yellow food color and mint ,coriander leaves on top and let them simmer for 10 minutes. Add Biryani essence also if you want. Serve with Raita and Salad. Please define what whole spices you used. It doesn’t say in your recipes. We have no idea what they are. But the recipes sound yummy. Also what is biriyani essence, maybe not available in the U.S.? 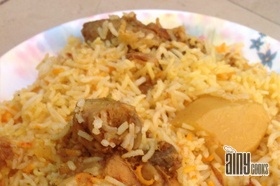 Bina if Biryani essence is not available then use kewra water. But first check it in Indian stores. Yes Kinz you can use Mutton and Chicken meat for koftaz. 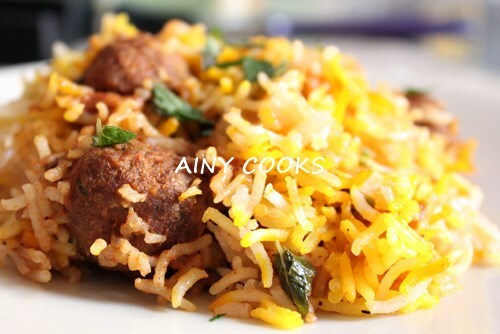 I have posted two recipes which are very easy and simple.